The idea for this collection was darting and buttoning as in dressmaking. The pieces are thrown then altered (with the exception of the tray which is slab built then altered). Once each shape was thrown, they were then cut and re-attached with button details. 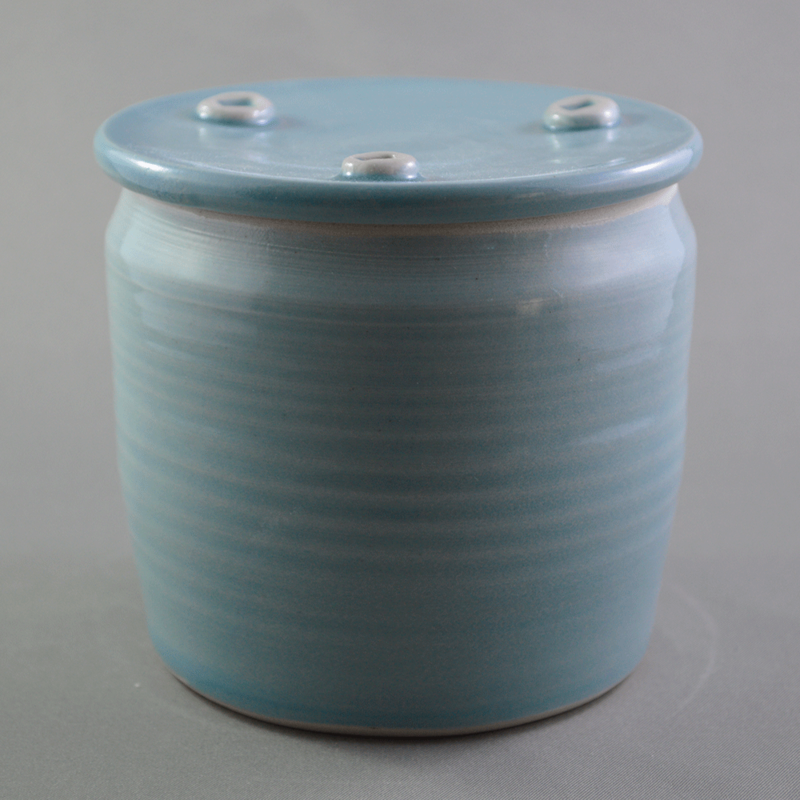 The celadon glaze has a transparency which shows the thowing process with white interiors for contrast. 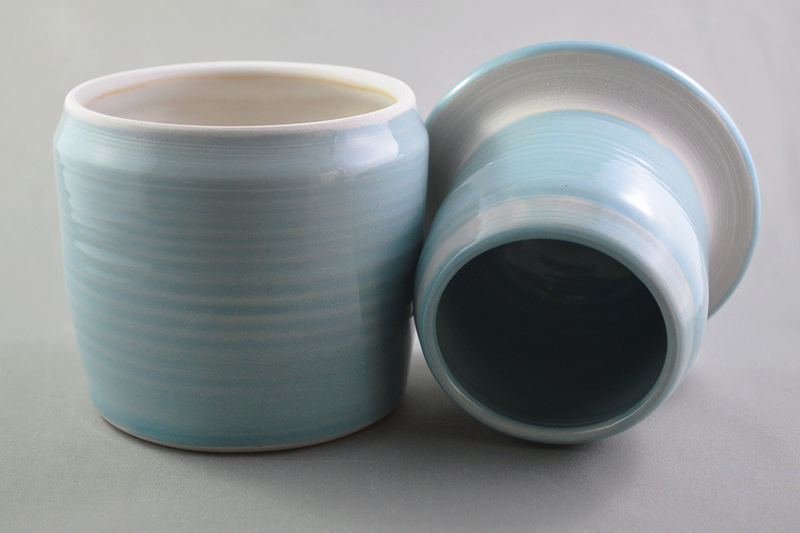 This collection was shown at the Salt Spring Potter's Guild show at Mahon Hall, September 19 and 20, 2014.